Hazet coming soon to KC Tool! KC Tool is proud to present Hazet as our newest German hand tool manufacturer! Many of you are probably already well aware of the Hazet German hand tool brand, especially if you are a Volkswagen or Porsche aficionado. Hazet’s association with these premier automakers have lasted decades. Hazet was founded by Hermann Zerver in Remscheid, Germany in 1868. Ha-Zet came from a shorting of his first and last name. The company has continued to grow in the last 150 years but still maintains its family ties with the 4th and 5th generation (Hermann Jochen Zerver and Matthias J. Hoffmann, respectively) of Herman Zerver still running the company. Hazet offers a full range of hand tools as well as a variety of specialty tools including automotive (like mentioned above), industrial, automation and aerospace. We are really excited to strengthen our existing industrial and automotive lines, with the addition of Hazet. It seems a natural fit in amongst our other outstanding brands. 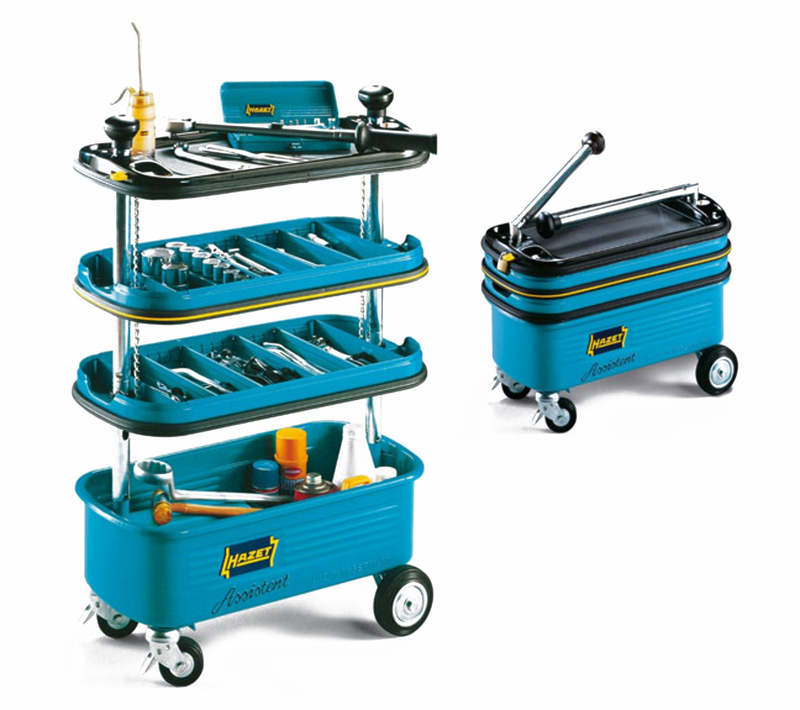 Some of the tools Hazet is most famous for are their tool trolleys: the “Assistent” series of tools (image below). We will start carrying a full complement of Hazet tools starting the third week of March. Please keep your eye on our website. But if you need a reminder we will give you a heads up email to let you know when they are in stock! Thanks for commenting! Good suggestions for future additions. We will look into it. If you want to be proactive in the process, please email them directly to let them know that KC Tool is the #1 distributor of German Tools in the USA! Thanks again!